Enjoy pints of Harpoon and UFO all weekend long including: IPA, House Golden, Flannel Friday, Octoberfest, Boston Irish Stout, UFO White, UFO Cranberry, and Harpoon Craft Cider. Clear your calendar, Harpoon St. Patrick's Festival weekend is 4 days full of great food, great beer, and great times. So bring your friends and celebrate with us 1 day, 2 days, or be a true Friend of Harpoon and attend all 4. Eat Mac & Cheese, Drink Delicious Harpoon Beer, and Jump in the Boston Harbor at the Shamrock Splash! 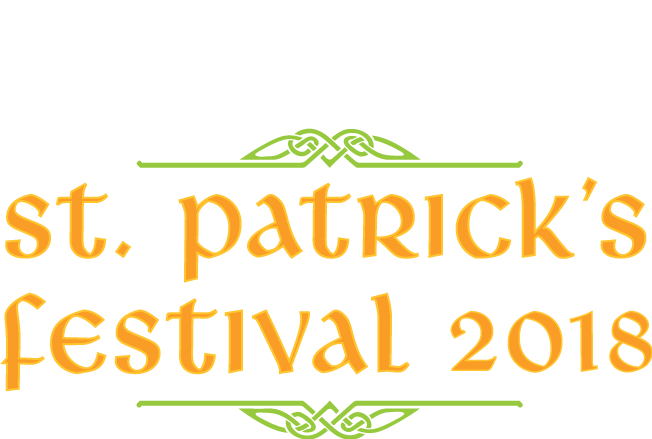 Clear your calendar, Harpoon St. Patrick's Festival weekend is 4 days full of great food, great beer, and great times. So bring your friends and celebrate with us 1 day, 2 days, or be a true Friend of Harpoon and attend all 4! All events are outdoors in tented area. Includes 2 oz samples of Boston's best mac & cheese recipes, a souvenir cup, and 1 beer ticket. You need a ticket in advance for this event. Cash bar. General Admission $25 - pay at the door! Includes souvenir cup and 1 beer ticket. Early Access Pass - sold out! Enjoy 2 oz samples of Boston's best mac & cheese recipes. You get 1 sample from each booth. Some of Boston's best restaurants competing for the title of Boston's best mac & cheese. Click button below for list of participating restaurants! Our panelist of judges aren't the only ones who get a say. Vote for the People's Choice winner and crown the victor. Each restaurant will get to choose what kind of cheese to use, made by our friends at Vermont Farmstead Cheese Company. 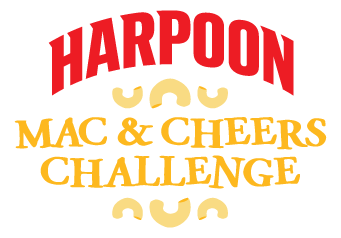 We're kicking off Harpoon St. Patrick's Festival weekend with our second annual Harpoon Mac & Cheers Challenge! Join us on Thursday, March 7th from 6-9pm for 2 oz samples of Boston's best mac & cheese recipes made with Vermont Farmstead cheese. Tickets are $40 and include mac & cheese samples, a souvenir cup, and one beer. Cash bar will be available throughout the event! This year, you're the judge. Restaurants will be competing for the title of Boston's Best Mac & Cheese and the attendees (that's you!) will be voting to crown the 1st, 2nd, and 3rd place winners. Get in before everyone else with an Early Access Pass! Early Access Pass doors open from 12-1pm. Make sure to buy your Early Access Pass in advance. Come dance the jig and enjoy a variety of bands playing everything from Celtic rock to modern favorites. General Admission tickets are NOT sold in advance. Come the day of, pay at the door to join the fun! Sign-up to take a tour of the Harpoon brewery for FREE! Includes a tasting in our original tasting room. We're kicking off Harpoon St. Patrick's Festival weekend with our second annual Harpoon Mac & Cheers Challenge! Enjoy 2 oz samples of Boston's best mac & cheese recipes made with Vermont Farmstead cheese. Restaurants will be competing for the title of Boston's best mac & cheese and you can help crown the People's Choice winner. Join us for a weekend of friendly banter, live music, flowing taps, and thousands of other beer loving folks loving the heck out of life under heated tents at our Boston brewery! Come the day of, simply pay $25 at the door to join the fun! When you pay at the door, your admission includes your first beer and a souvenir cup. Come plunge, pledge, and enjoy some refreshing pints of Harpoon beer to support our beaches with Save the Harbor Save the Bay! $20 Registration Donation includes two Harpoon beers, post-splash meal, Harpoon koozie, and a chance to win a round-trip JetBlue flight. What's on Tap at st pats Fest? Come plunge, pledge, and enjoy some great company, a refreshing pint of Harpoon Beer, and a burger to support our beaches with Save the Bay! Friends of Harpoon get Friday General Admission tickets for just $15! Show your Friend of Harpoon card at the door to get discount. Become a Friend of Harpoon for FREE and you'll get early access to tickets and special events throughout the year!